Will my bankruptcy halt all lawsuits? If you are facing collection lawsuits, filing a Chapter 7 or Chapter 13 bankruptcy can be an effective way to stop the litigation from proceeding. 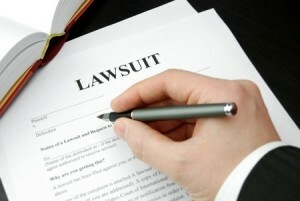 However, there are certain types of lawsuits that are not halted by a personal bankruptcy filing. Generally speaking, a suit that is seeking the recovery of money is stopped when your case is filed. If you are involved in a lawsuit regarding child custody, child support, spousal maintenance, or to establish paternity, a bankruptcy filing will not stop the proceedings. It should be noted that you cannot discharge or cancel your obligation to pay child support in a bankruptcy case. If you have been arrested or convicted of a crime, any criminal actions against you will proceed. However, if there a monetary claim in relation to the criminal matter, it may be halted by your bankruptcy filing. The Internal Revenue Service (IRS) is allowed to continue with conducting an audit, issuing tax deficiency notices, making demands for tax returns, or issuing tax assessments against you while you are in bankruptcy. The IRS cannot issue a tax lien, seize your assets, or seize your income while your personal bankruptcy case is pending. If you have a litigation or other forms of legal proceeding filed against you and you are interested in learning how filing a Chapter 7 or Chapter 13 could impact them, contact our knowledgeable bankruptcy lawyers for the advice and guidance you need. We will review your individual circumstances and help you understand what the automatic stay will halt and what it will not stop. Call us today to schedule your free initial bankruptcy consultation. Our office is located in Melbourne, Florida on Sarno Road. We proudly serve individuals and businesses in Palm Bay, Viera, Cocoa, Rockledge, Cocoa Beach, Merritt Island and other parts of the Space Coast and Brevard County. This entry was posted in Bankruptcy, Chapter 11, Chapter 13, Chapter 7 and tagged bankruptcy, criminal, family, lawsuit, tax on February 2, 2015 by Michael Faro.